The latest Echo devices are a touch more premium than their predecessors, but Amazon hasn’t gone out of its way to compete with Apple’s HomePod head-on. And why bother, really, when hardware partners are willing to do the heavy lifting? Bose is certainly making a compelling case with the Home Speaker 500. 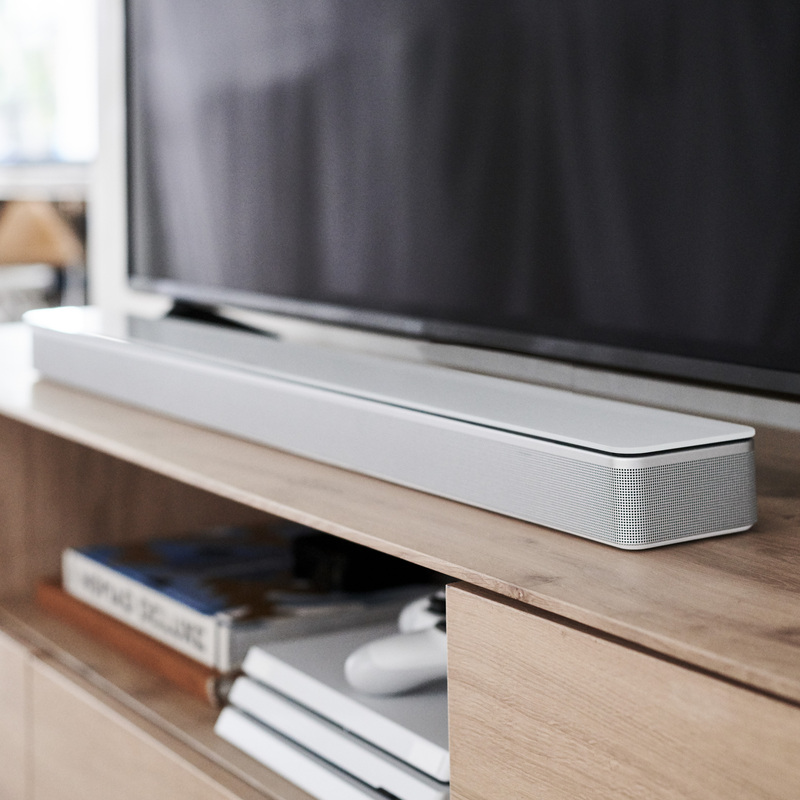 The compact smart speaker finds the audio company going all in on the smart assistant market, along with a pair of new soundbars that also sport Alexa functionality. The company has cautiously embraced Amazon’s smart assistant in recent years, but the trio of new products are the first Bose speakers to feature Alexa built-in, rather than relying on a skill. The Home Speaker is a fairly compact device, measuring 8 x 6 x 4 inches, with two custom drivers built-in, designed to reflect sound off of walls. The looks are a little lacking, but the sound is really what counts. There are eight microphones on board that support Amazon’s far-field tech, which means it should play nicely with other Echo devices. Those mics, along with the ones of the soundbars, are built from the same tech found on the company’s headsets. The smart speaker runs $400, and the soundbars are $550 and $800. All will hit the market in October. Support for other smart assistants is forthcoming (including, one assumes, Google Assistant), with AirPlay 2 functionality arriving early next year.